Landing pages are lead generators. As marketers, we spend a lot of time trying our best to get our audience attention, but sometimes we forget how important it is to engage with them. Personalized videos are about making meaningful connections and driving ROI. In this Sezion Webinar you will learn how to automatically create a personalized video for every lead that comes thought your landing pages built with Unbounce. We’ll also learn how Sezion works and the main concepts to create powerful personalized videos for your leads. How to install and use Sezion’s templates. 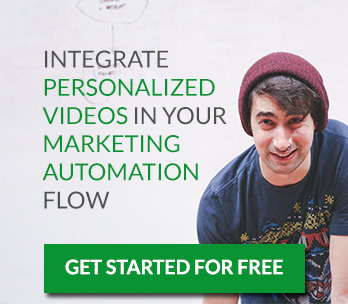 How to create personalized videos for your leads. Best practices and tips to engange with your leads. For example, when you register for the webinar, you will automatically receive a personalized video by email. Personalized Videos, Resources, Sezion, Video Marketing, Zapier engagement, landig pages, lead generation, personalized videos, unbounce, webinar. permalink.